Jordan is unwilling to allow the return of Israeli Ambassador to Amman unless the Israeli security official, involved in the killing of two Jordanians, is tried in court. Ambassador Einat Schlein and guard Ziv Moyal are both in Israel after the July 23 incident that strained ties between Tel Aviv and Amman. Moyal claimed he was attacked with a screwdriver before he opened fire killing the attacker and a bystander. Moyal was accorded a hero’s welcome on his return to Israel by Prime Minister Netanyahu. 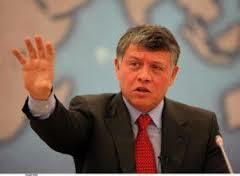 The welcome was deemed “unacceptable and provocative” by King Abdullah. Israel has begun investigations into the matter. It was hailed by the Jordanian speaker of parliament as a “step in the right direction” before adding that “justice must be served”.